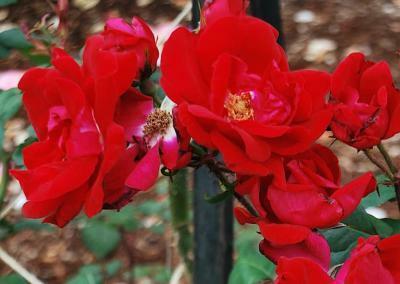 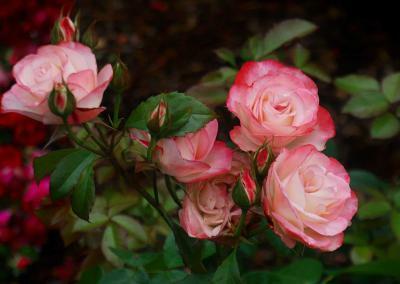 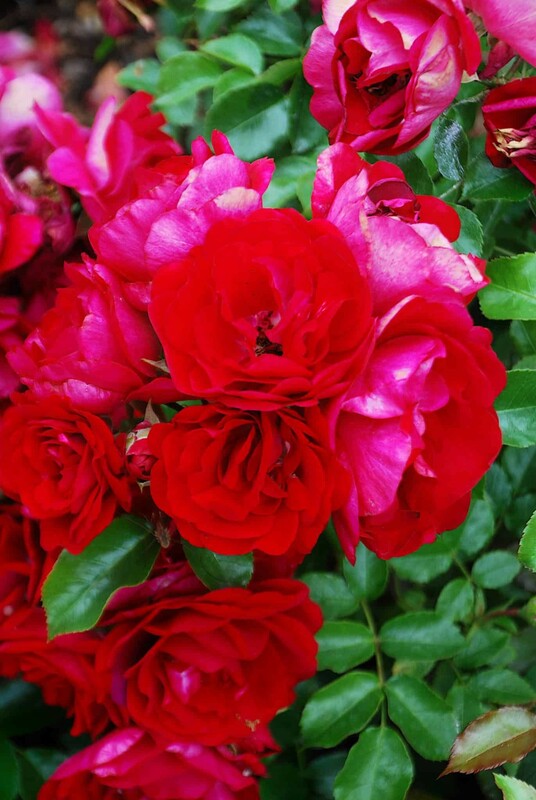 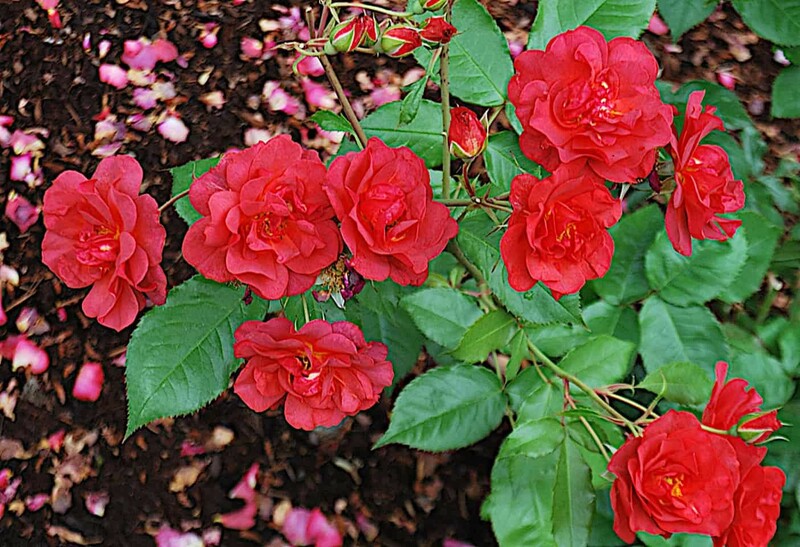 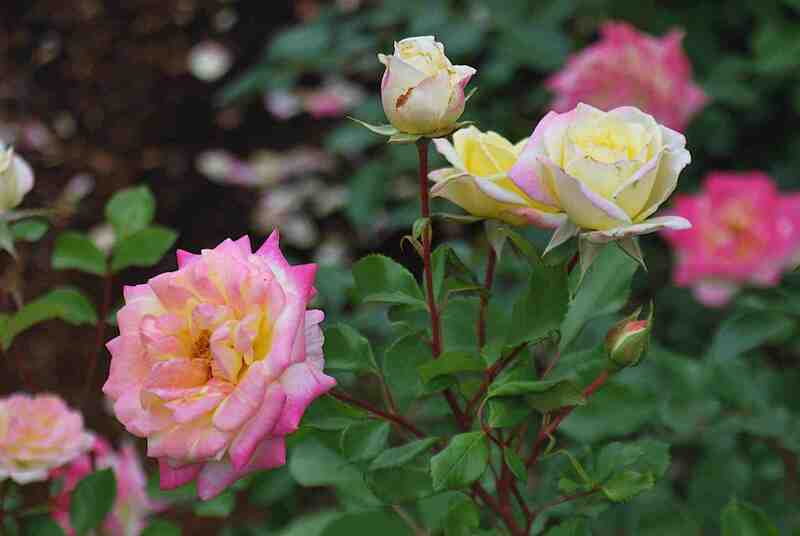 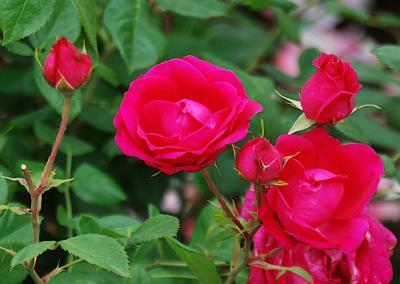 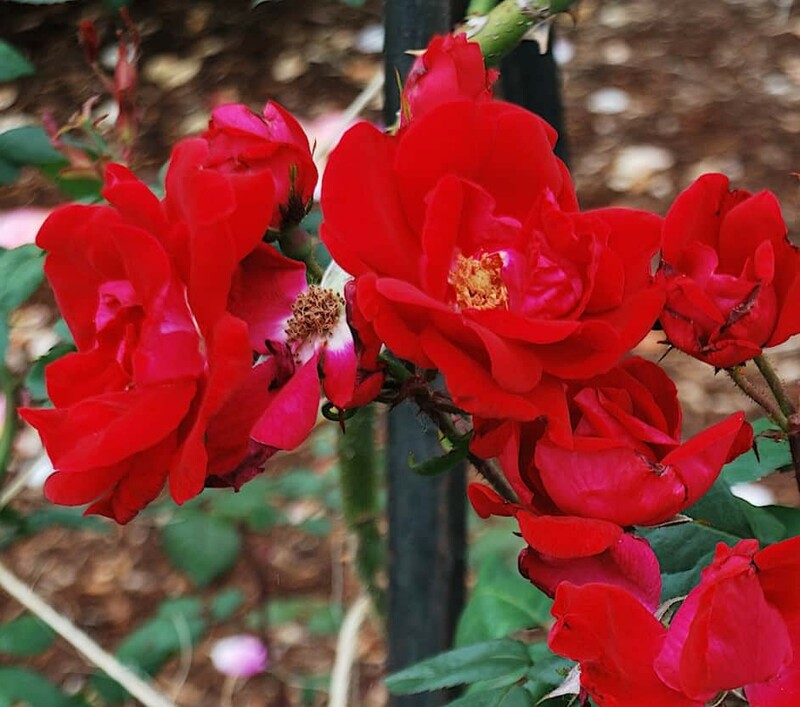 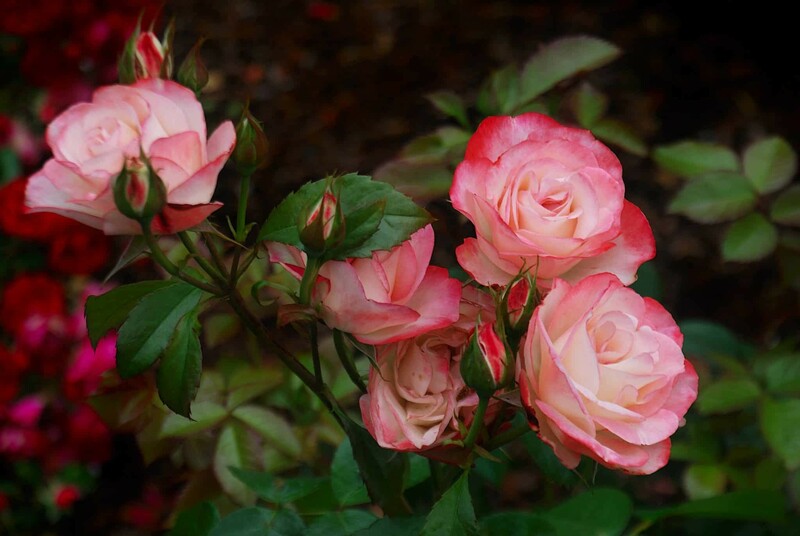 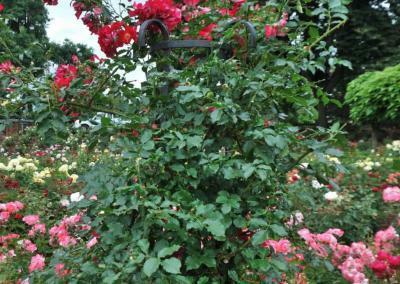 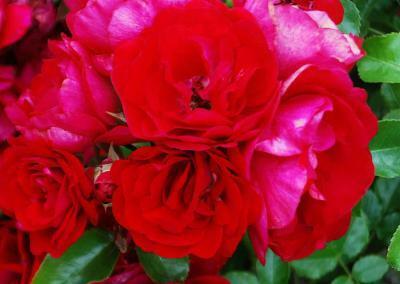 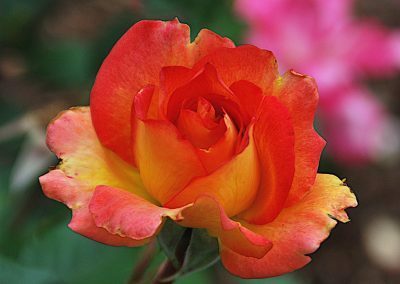 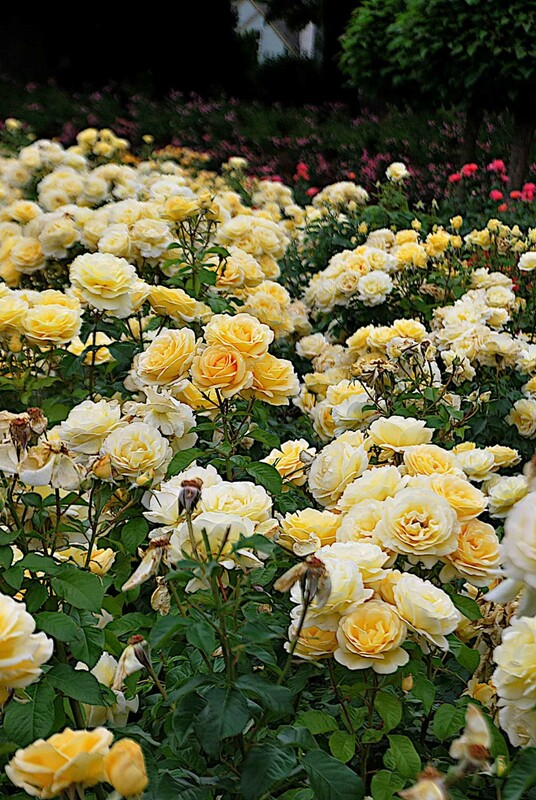 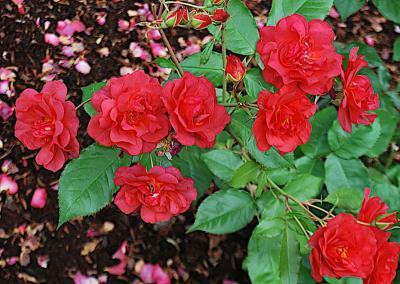 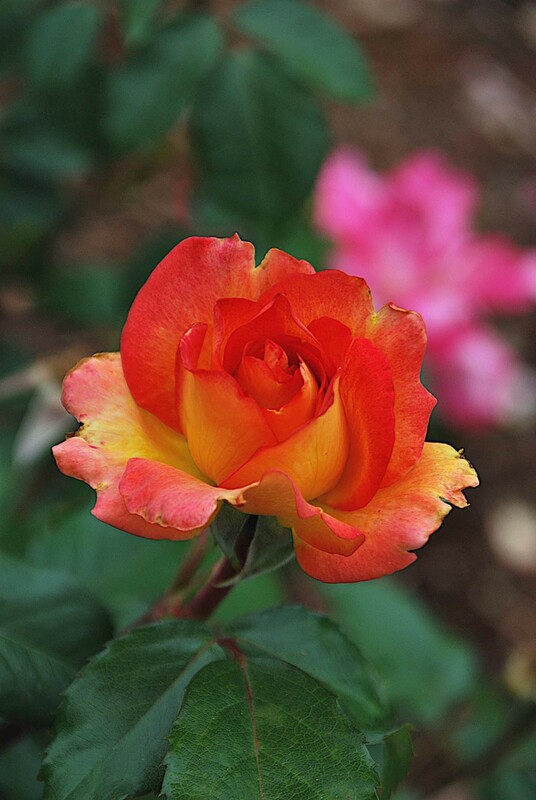 We have many rose varieties in the Peninsula Park Rose Garden. 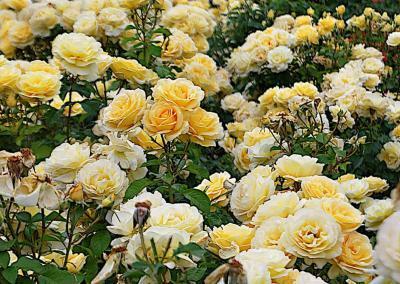 The floor beds of the garden mirror each other roses: for example, you’ll find Julia Child roses in the East and West end beds just below the slopes at each end of the garden. 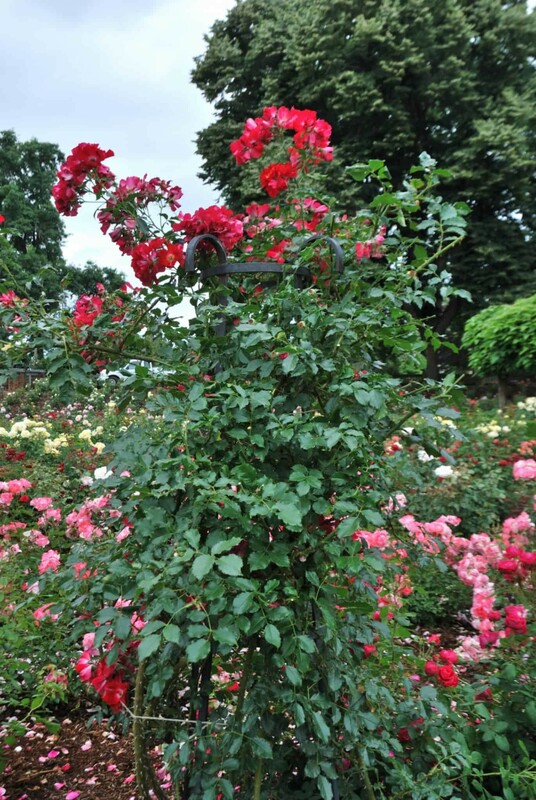 The other roses in those beds are mirrored in the beds on both East and West. 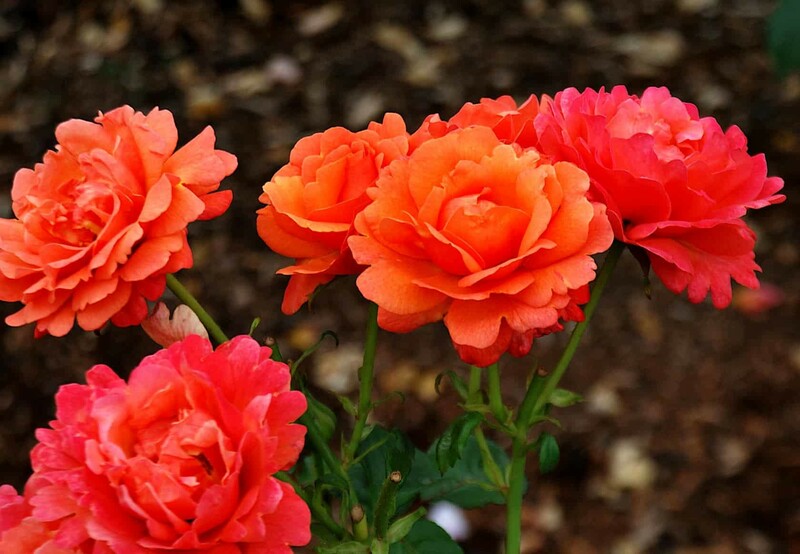 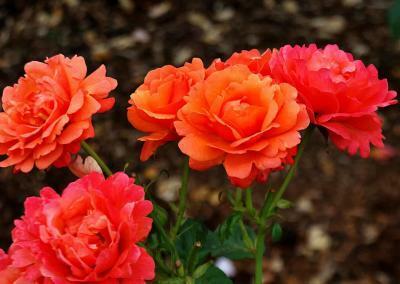 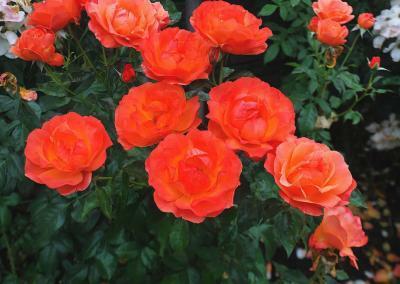 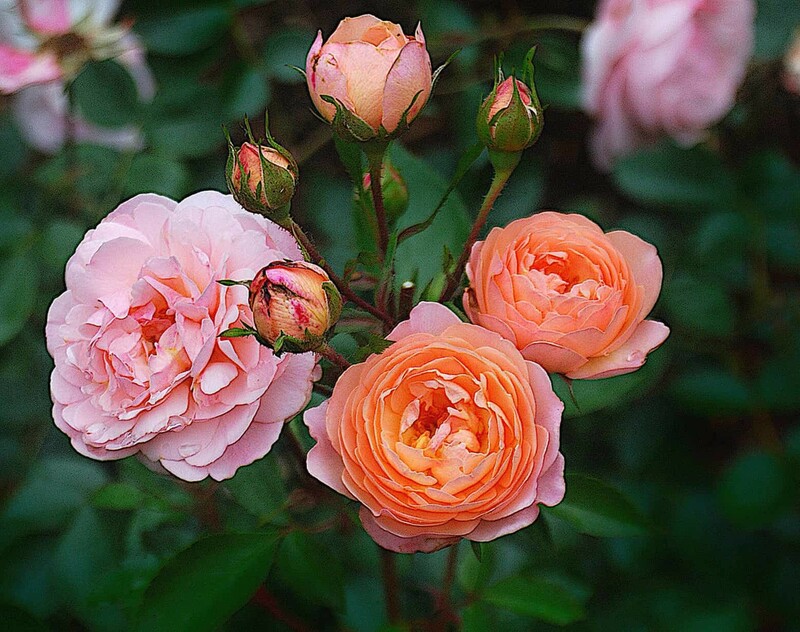 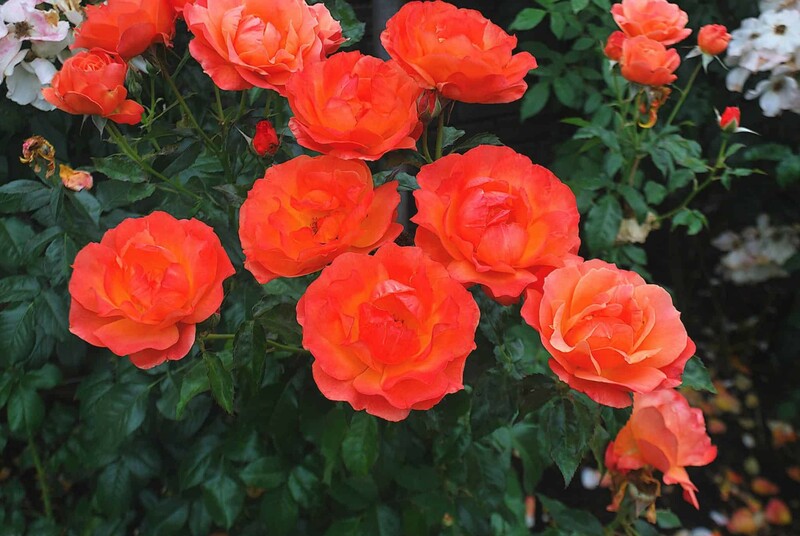 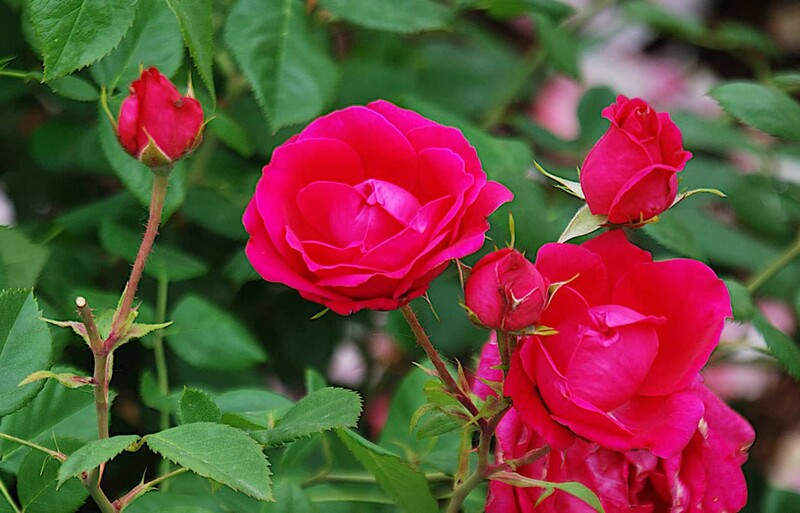 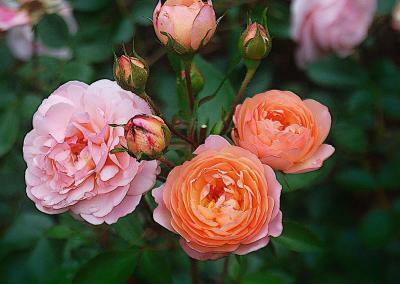 You’ll find a growing guide to the roses in the garden, along with suggestions of where you might find them for your own garden.